Unspoken is an American Christian band, with an unapologetically soulful pop sound, adventurous production and complex vocal harmonies, mixed with the international influences of the band (guitarist Mike Gomez hails from the Dominican Republic and drummer Ariel Munoz from Puerto Rico). Their first Centricity Music album sold more than 100,000 physical copies and spawned four top ten singles and a number one as well. 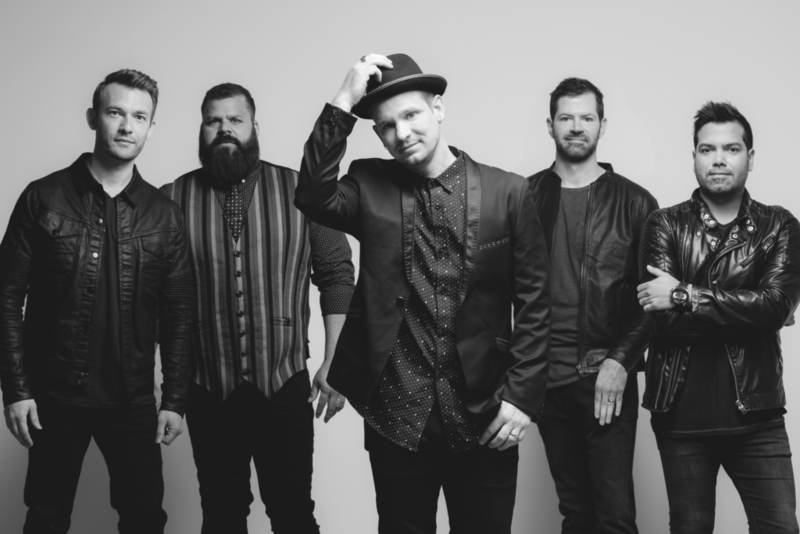 But it is the band members’ honest approach to the ups and downs of a walk with Christ that captivates audiences, allowing them to play the music they love to millions. “Thinking back thirteen years, to when I was dealing with drugs and alcohol in a very serious way, to think I would one day have a wife and kids and a solid family and home life and then be playing music for a living—God is surely able to do more than we ask or imagine,” explains Chad Matson, lead vocalist. The band came together after lead singer, Matson, met guitarist, Mike Gomez, on a mission trip in the Dominican Republic. Born and raised in a Christian home, Matson has not always walked the walk. After struggling with drug and alcohol addiction for years, he decided to go on a mission trip to rebuild his relationship with God. “He basically went from the streets to the altar,” shared drummer Ariel Munoz, who joined the band 13 years ago, in an exclusive interview with Tribuna Newspaper. He says while in the DR, Matson and Gomez hit it off, as they were both musicians, recorded a couple of songs and created a demo CD. When they returned home, they were encouraged to enter it in a music competition in Nashville, TN. At the same Nashville competition, Munoz met Matson in a bathroom; two years later Matson called him in need of a drummer. Munoz is the son of a pastor in Puerto Rico and grew up in a church, but like Matson, he not always walked the walk. Munoz says being an artist on the Christian music scene is very different from the mainstream, as he has experience in both worlds. He says there is a much deeper desire to prioritize what matters most. If you are a fan, or if you have never heard Unspoken but would like to experience their sound and their message, they will be at the Ridgefield Playhouse on Saturday, June 30, 2018 at 8pm as part of the Pepsi Rock Series powered by Xfinity, sponsored by the Family Institute of Connecticut. Tickets may be purchased by calling the Ridgefield Playhouse at 203-238-5795 or by going to ridgefieldplayhouse.org.